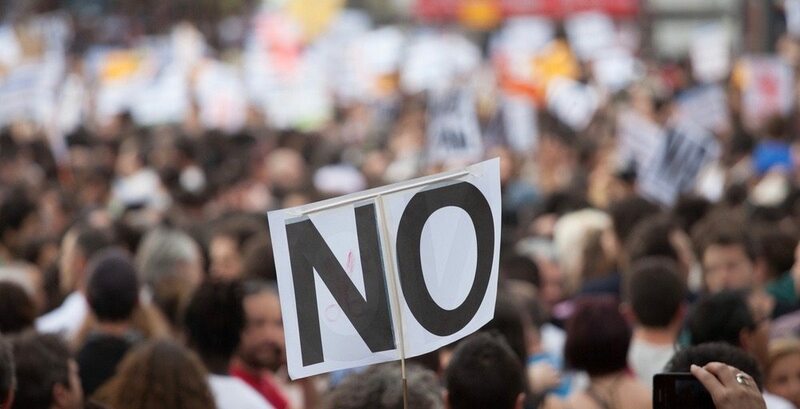 After planning a protest against Islam in Canada at Nathan Phillips Square this Saturday, August 11, the Worldwide Coalition Against Islam’s (WCAI) Canadian chapter announced their rally has been cancelled due to a scheduling conflict with another event. The announcement was made via the group’s public Facebook page (which has since been deleted) on Thursday, August 9. 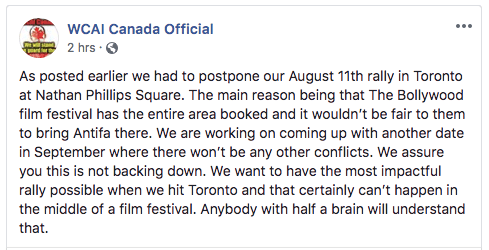 Several anti-hate and religious organizations planned to hold counter-protests in response but the WCAI has said it was the already planned Bollywood Film Fare Toronto that resulted in the postponement. Antifa – short for Anti-Fascists – is a protest group known for provocative action and violence during rallies in the United States and Canada. 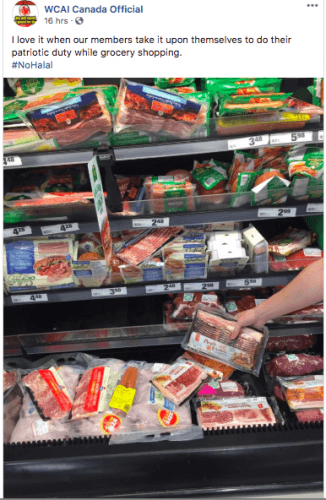 Based out of Calgary, the WCAI’s online presence is filled with posts of news that relates to crimes committed by terrorist organizations like Daesh, the sharing of racist memes and, recently, a photo where they allege one of their members covered the Halal section of a grocery store in packages of bacon. The group had attempted to raise money via a GoFundMe campaign that was taken down by the platform, though it is still viewable through a Google cache. The organizer, under the account name Cody Tibbo (which has also been deleted), said the group was attempting to raise money for a bus to transport members to Toronto. Screenshot of the WCAI’s public Facebook page. The WCAI website was also recently taken down, though this is not clear if the group did this by choice or if this was an action by the domain host, Wix. Mayor John Tory made a statement yesterday condemning the rally before its cancellation. “Hatred and acts of violence against any identifiable group have no place in this city,” says Tory in a release. “Toronto Police Service is aware [of] a rally being promoted by white supremacist groups and other bigots.